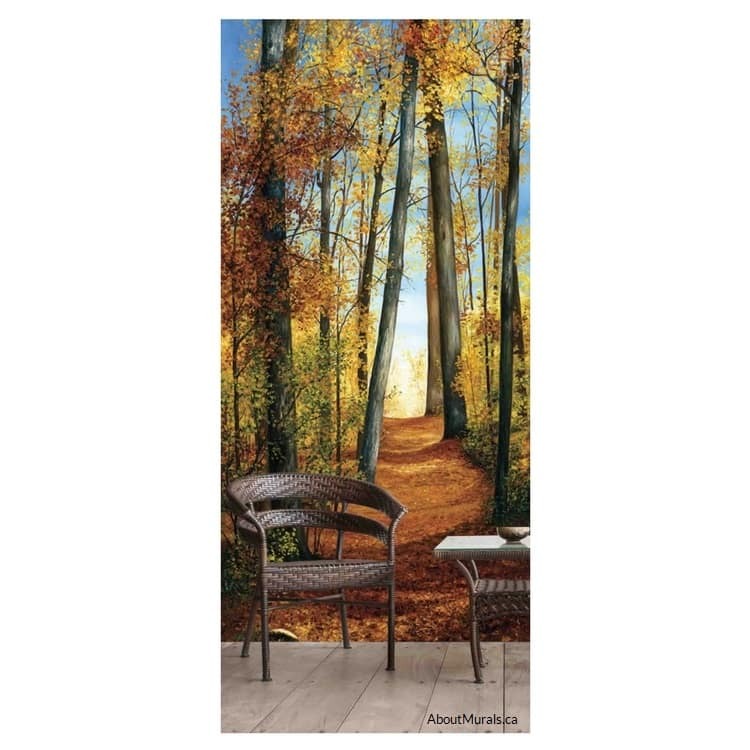 Path of Light wall mural will warm any narrow space with its orange autumn trees. 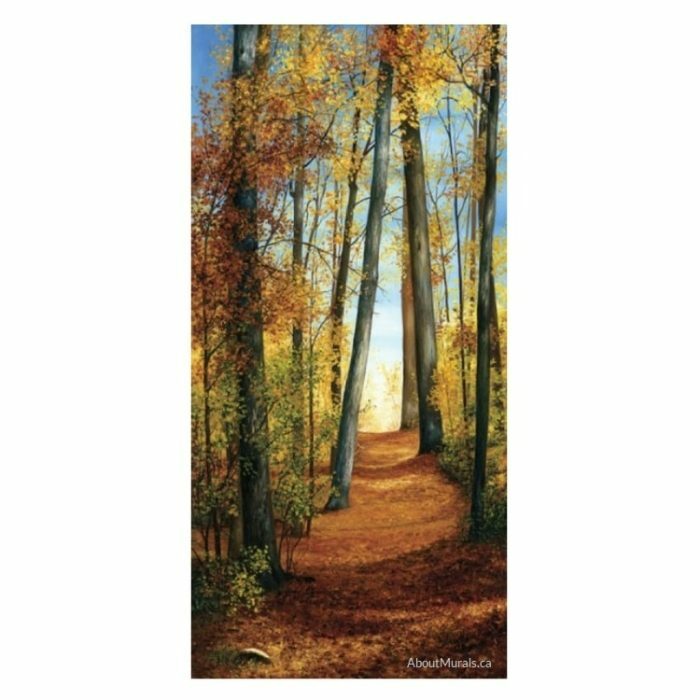 The fall forest mural comes in a very narrow size, making it perfect to use on stair risers, in a closet, on a door or a tight nook. It’s originally a painting that was scanned in using a super high resolution scanner and then printed onto removable wallpaper, giving you a clear, crisp image. It’ll look like it was actually painted on your walls! The wallpaper comes in 3 panels of 18″ wide each by 8′ high. 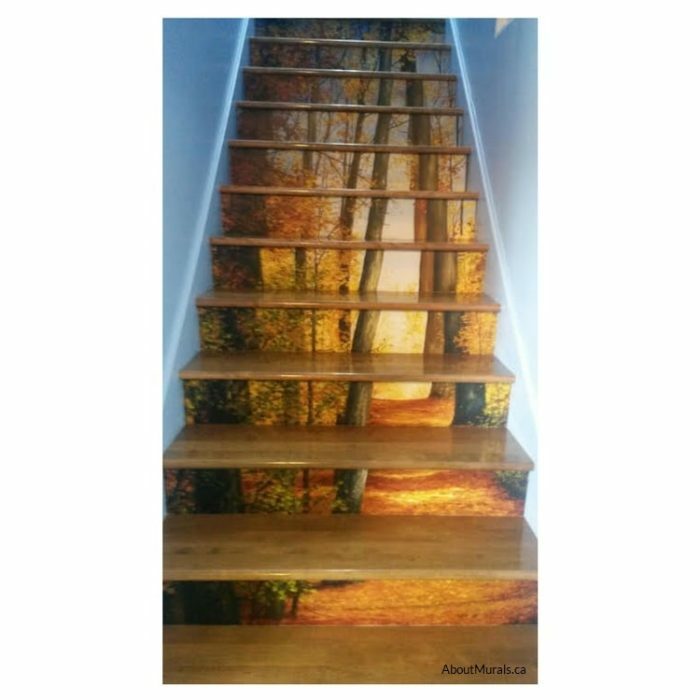 Since every set of stairs has its own unique measurements, you simply cut the height and width you need for each stair riser and hang it like you would on a wall. Check out my How-To Hang video to see how my removable wallpaper is hung. It’s super durable and perfect to use in all high traffic areas!